If you have a passion for helping others, good attention to detail, and a penchant for problem-solving, then working in the healthcare field might be for you. There are myriad jobs in healthcare, so no matter what your skill set is, you can find a way to be involved in one of the most essential industries in our society. Let’s at some of the possibilities for a career in the healthcare industry. If you’re science-minded and enjoy working one-on-one with people to improve their quality of life, then you might be inclined toward becoming a doctor, nurse, or similar provider. Physician/surgeon: These are the folks you call, “Doctor.” Of course, within this category are all kinds of specialties. If you wish to become a physician, you will go to medical school, where you will learn a little about everything, but ultimately you will decide on a focus, such as family practice, psychiatry, pediatrics, obstetrics, etc. Registered nurse: This is a great career to go into if you truly love helping others. Additionally, your employment opportunities will be good; the job growth rate is high, and the industry is always short on nurses. RNs care for patients by administering medicine, monitoring patient progress, and providing education. They work in facilities from clinics to hospitals to home care. A Nurse Practitioner can even diagnose conditions and prescribe medication. Medical technologist: Medical technologists (aka medical laboratory scientists) collect samples from patients and run tests to help doctors diagnose and monitor conditions. Technologists may collect urine and other bodily fluid samples, operate lab equipment, and run tests on the samples. In larger clinics, technologists may specialize in an area. Pharmacist: Perhaps you’re interested in pharmacy. You can look into becoming a pharmacist or pharmacy technician. Pharmacists advise patients on how to use their medicines, and they may also provide other wellness advice and provide immunizations. On the other hand, your strengths may lie in the clerical, leadership, or marketing fields. Good news: the healthcare industry requires business and administrative services, just like any industry. Healthcare administration: You might make a good administrator if you’re good at planning, coordinating, and engaging with a team. A healthcare administrator might oversee an entire clinic, or he or she might cover a specific department, such as finance or human resources. Medical transcriptionist: As a medical transcriptionist, you type out a recorded conversations between professionals or between doctor and patient. You need fast and accurate typing skills. While you may need to work on-site for a while, after you gain enough experience you may be able to work this job from home and on your own hours! Health educator: Health educators go into the community to educate people about various diseases and how to prevent them. Depending on the issue and targeted group, you may do anything from discussing HIV and STI transmission to teens, sharing good dental hygiene with elementary school kids, or giving a talk at a local community center about bones and aging. You’ll do the research and put together the presentation yourself or with the help of your organization. Insurance underwriter: You might work as an insurance underwriter, which means you’re part of the team that decides whether or not the clinic will accept a particular insurance. What kind of education and training do you need for these positions? Well, it depends on the job. They pretty much all require a bachelor’s degree, and most require higher degrees. For instance, physicians must go to medical school and become an MD or DO. Within the administrative and educational side of things, level of education can vary a lot, although again most jobs require at least a bachelor’s degree and probably a master’s. RNs can become licensed with an associate’s degree, but to become truly competitive they may want to complete a BSN or MSN. 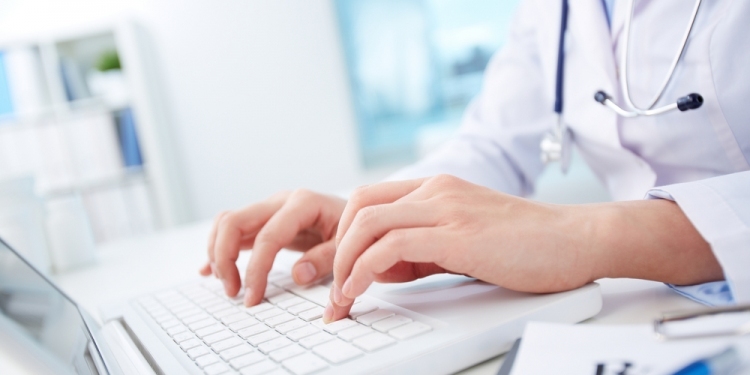 On the other hand, medical transcription training often happens online. If you’re interested in pursuing a career that lands you in the world of medicine, start researching now to find what innovative academic programs near you can get you on the right path.